Ok, I am not going to lie. As far as I know, my mom and my grandmother all have similar shaped strong nails, so I guess genes play a big part in this. This does not mean that I can do whatever I want with my nails and abuse them. Maybe a good diet is all you need, but personally I believe in taking supplements for additional help. Nothing drastic like taking more than 2500 micrograms of Biotin daily, though it has been proven to be effective for hair and nail growth, I still would suggest adding some sort of supplements that generally covers hair, nail and skin health. You can find this from any health store at affordable price. Mine contains vitamin C, Biotin, Hydrolyzed Collagen and Grape Seeds extracts, for instance. I admit that my nails are strong enough to open a soda can with, but I still prefer using glass (crystal) files when I shape and trim my nails. 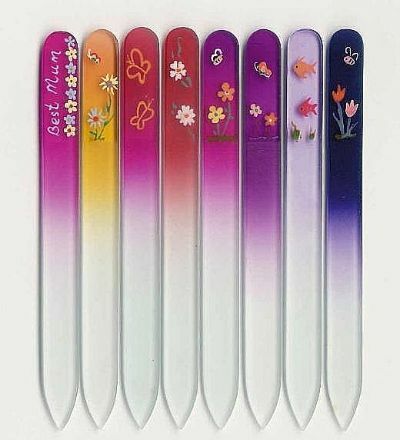 This is more hygienic than conventional emery board since it is washable. Good thing about crystal files is they do not add unnecessary stress on you nails and provide smoother finish so you nails are less likely to break. Too much of thick cuticles can cause pain and they need to be taken care of, but generally speaking, it is just better not to touch them. Even when you go to a salon for a professional manicure, just politely ask not to cut cuticles too much. Cutting a little bit on the sides should be okay, but most of times, a little bit of push-back is all you need. Remember, once you start cutting your cuticles, it is hard to stop since they keep growing harder and irregular. 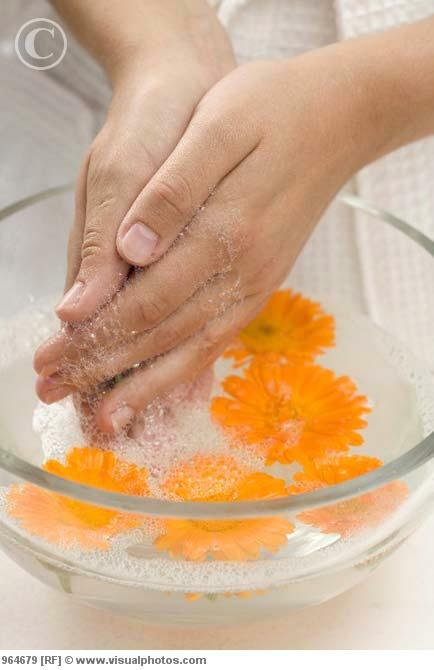 I always wash my hands after I use acetone based remover on my nails. Nail technicians usually wipe your nails off with remover right before painting to get rid of any oily residue and ensure the color would last longer, but this does not mean it is a good thing for your nails. As for painting neatly on nails, I don't have much to say except "practice makes everything better". Plus everybody is different with unique nail shapes and preference. For example, OPI prowide brush doesn't work very well for me since my nail beds are kinda long and curved to sides. Good top coat and base coat can definitely solve a few problems. I don't really believe any base coat would make your nails grow faster or stronger, but right kind of base coat can provide nice even surface so nail polish can adhere better. 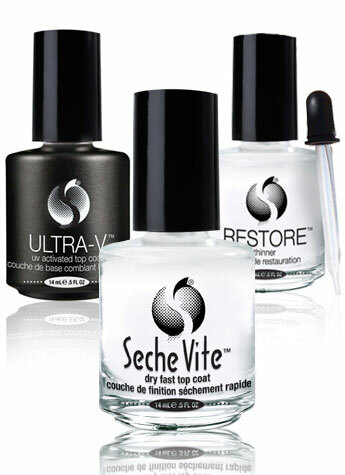 Fast drying top coat like Seche Vite literally dries polish in minutes. 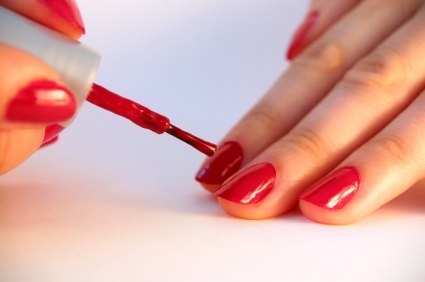 Top coat gives wonderful shiny finish and helps the nail polish to last longer. It also straightens out minor mistakes and flaws. Most fast drying top coat thickens rather quickly over time, add good thinner in your manicure arsenal. This is not my word of wisdom, but I find this one of the wisest of all beauty advice there is. Well, I hope you enjoyed my little posting about nail care and self manicure. The last tip is the best! 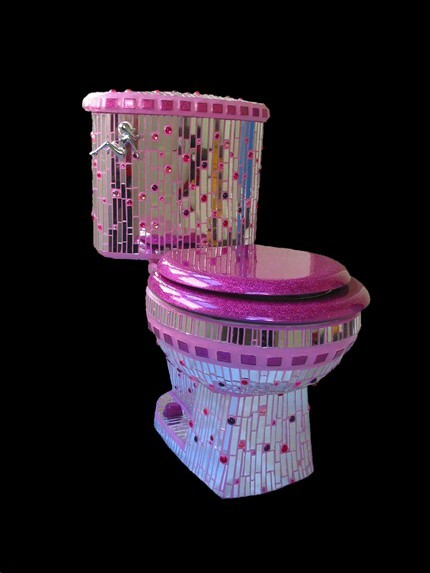 hahaha ;D Very, very nice!! Thanks for the tips! I unfortunately was born with brittle nails. My mom and I take supplements, lol. Love that last tip by the way. I swear by it. Haha, totally agree with peeing before painting! Too funny!! Hahaha! I love your last tip! I definitely don't play with my cuticles at all! ughhh i need the seche vite! Been wanting to get one! hehe yes the hair looks like ombre and the problem will start when my roots grow! The french manicure looks gorgeous. LOL that last tip might be the most crucial of them all!! i have quite small nail beds which has always annoyed me. but my fingertips are really flat & fat looking bc i played piano for over 10yrs so my fingers look weird. not slender & ladylike like other ppls D: but i've noticed that wearing nail polish regularly has made them stronger despite the general consensus that nail polish is harmful for us. Great tips especially go pee before you paint nails. That's so true. I don't know why but as soon as I paint the nails, need to go pee or need to do something which would mess up the nails. Thanks for your tips! I Love it. And I love ur blog so much, it's beautiful :) And I'm following you now, mind following me back? Great tips! That last one had me lol'ing but it's total common sense. I need to invest in a crystal file and I didn't know that bout brushing with whitening toothpaste. Thanks Lena! some prefer using lemon juice for whitening, but i prefer toothpaste. simpler. i know what you're saying. i play the piano as well. the tips of my nails go in so short as you keep clipping them short, right? i'd also recommend Poshe fast drying top coat, my other favorite. using emery board is not so bad if it has been working for you. it is just that there are so many different grits, it is not easy to choose right one. aww it takes time but you can definitely turn it back to the way before. resist cutting everything, just cut what is necessary and moisturize moisturize moisturize. i love the tip as well! I live by my base coat and top coat - makes such a big difference! I will look into buying a crystal file..I've never come across one before, to be honest. And I definitely agree about the supplements. But I guess I need them, because I do have quite a limited diet. Haha pee before you start painting your nails... Word of wisdom...! Do you have any recommendations for a good base coat? haha I have this WEIRD thing where no one can touch my cuticles but me... when I get manicures I ask ahead of time what they will do or if they will touch my cuticles at all before agreeing to do it! LMFAO at the last one! That is so true Lena! Great advice girl and supplements really help me. or make sure you're not doing anything for the next few hours - washing dishes or showering etc. but I still think going to potty beforehand is the best tip I've heard! Amazing tips!!! love your blog:) Following you on GFC and Bloglovin!!! LOL - great tips. I don't have time to paint my nails EVER, and even when I do they chip the next day due to washing dishes or cleaning the house! thanks for stopping by and adding me to your list. i am using Duri base coat (mild pink color) and i like it a lot. i am off to your blog to read your post. i didn't know you cook! Thanks for the tips!! These are so helpful! I would add "wear your jeans before painting" fastening the button with newly painted nails is the worse! love the tips. I followed every myself when I had my nails long and they were very strong (now I keep as short as possible due to my job). hahahaha you made me laugh seriously with the last part.. but i love love your practical .. indeed very true advices!! ah i know what you mean! you can easily ruin your nails even after hours if it is the jean botton! OMG; i needed this so bad right now!!!!! my nails are pealing of like no tomorrow!!! fantastic tips. i lack in the "practice" dept. lol! Hehehe, niceee. I love nail stuffs! And I tried Seche Vite top coat. It is wayyyy too good! It really dries fast! i am so happy everyone like the last one! thanks to this, i used to change my colors everyday. i know i need to take care of things before, but it is so easy to forget. as for supplements, i think you just need to look at the ingredients and find something generally known to help but but not too potent. 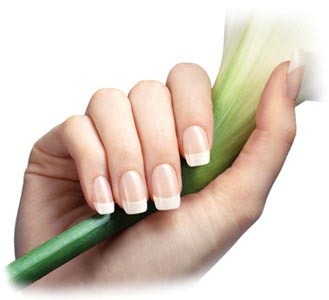 i hope you will find good solutions for your nails soon!